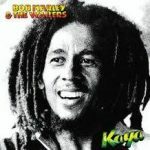 The classic ‘Kaya’ album is now forty years old and here is a brand-new remix of all ten tracks, courtesy of Stephen Marley, released in conjunction with the original album. 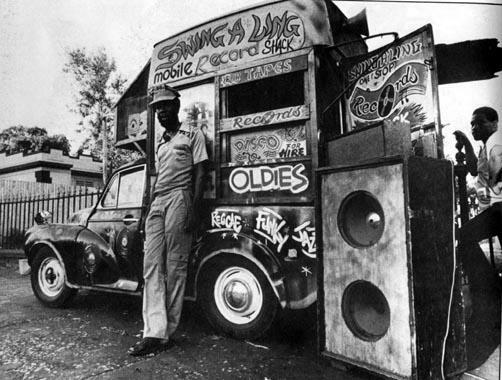 It is hard to imagine that the original version could be improved upon, and, unlike some Bob Marley remixes (such as ‘Roots, Rock. Remixed’) there is no attempt here to construct new songs from the old ones. Instead, the Kaya 40 remix is relatively subtle: for instance, adding a dub-leaning mix to ‘Sun is Shining’ and ‘Kaya’ itself or bringing out the lead guitar (presumably from Julian ‘Junior’ Marvin) more strongly on ‘Crisis’. Stephen Marley has used Bob’s vocals from demos of the same tracks and made use of different takes of the songs to come up with something distinctive. Musically, the band at this time, featuring Aston ‘Family Man’ Barrett, Carlton Barrett and Tyrone Downie, were at their peak. Listening to these songs today, it is striking how strong they remain melodically. ‘She’s Gone’ is a powerful song, and when it comes to final track ‘Time Will Tell’ you can almost hear the bells ringing in the local gospel church. No fussing and fighting, this has always been a gentle and relaxed album. Now, with a more assertive remix, it gains a new, and well-deserved, lease of life. Stephen Marley’s remix respects the integrity of the original album and, unlikely though it seems, manages to improve it. A great listen. With Aston ‘Family Man’ Barrett still providing a firm link to their glorious past, the current incarnation of the Wailers is due to tour the UK in the Autumn. Following the fashion in rock for performing classic albums live, this time round they are due to perform ‘Legend’ in its entirety so it is essentially a greatest hits kind of event. Together with Aston “Family Man” Barrett on bass, the current Wailers line-up features Duane “Danglin’” Anglin on lead vocals, Keith Sterling on keyboards, Zeb “Drummy” Williams on drums, Audley Chisholm on rhythm Guitar, Aston Barrett Jr. on percussion/keys, and on backing vocals Cegee Victory. Over the years they have continued to play live to a wide variety of audiences, including playing in the Stone Roses’ Heaton Park shows in 2012. If the Wailers sound anything like as committed and vibrant as they did in their UK shows three years ago (see reggaemusic.org.uk 24th August 2010) they’ll be worth seeing and hearing live this time round too.